Your Abandoned Shoppers are those currently have an abandoned order with you. 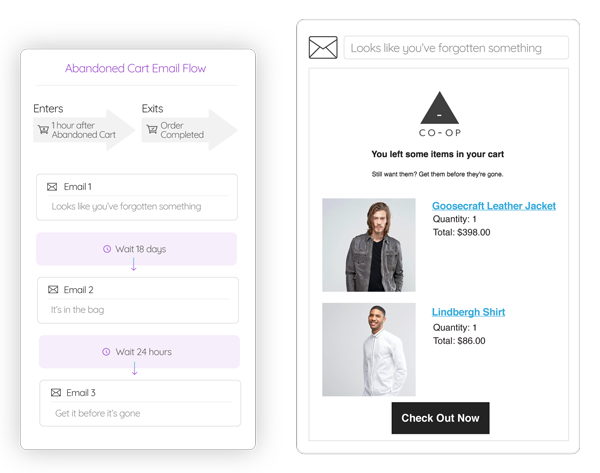 Recover abandoned orders with a series of great looking automated emails. Pull through product images from their cart and a button that takes them back to complete their order. Turn on the Recover Abandoned Carts Flow under Email Flows.